Thousands of local and international families came to the Sunway campus for a truly memorable Open Day weekend of activities and events. 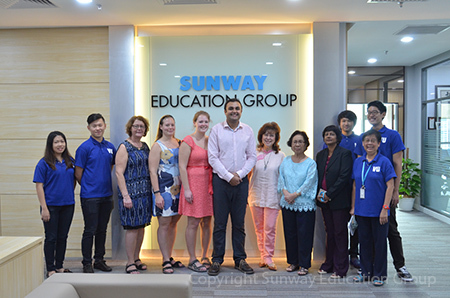 Music and award winning cheerleading performers entertained families as they arrived on campus to explore all the educational opportunities Sunway education Group has to offer. 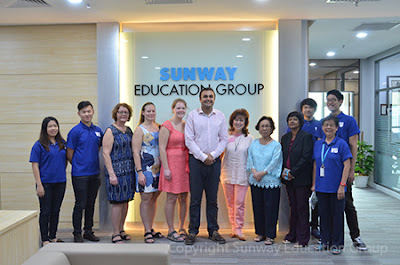 Sunway TES CAE in collaboration with Pejabat Pendidikan Daerah Petaling Utama (PPDPU) is conducting workshops for 840 teachers from 28 schools, in the area of “Enagaging students to develop Higher Order Thinking Skills (HOTS)”. This initiative is in support of the Malaysian Education Blueprint aspirations to develop Thinking Skills in students. In 2016, 40% of UPSR and 50% of SPM questions will comprise of HOTS questions. Therefore there is a need to refocus teachers’ attention to developing HOTS in students. Through the workshops teachers will explore how to engage the 21st century student in the areas of HOTS. 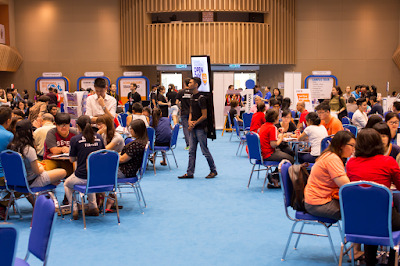 The workshops are conducted by Senior Lecturer, Jack Wong who specialises in Critical Thinking and Professional Level subjects such as Business Strategy and Management. Five students from Sunway TES Centre for Accountancy Excellence (Sunway TES CAE) stormed to victory and emerged as the Global Champion at the Premier League Enterprise’s International Enterprise Challenge (IEC) 2015/16. The Champion, Team Kaki Bangku is an all-female team comprised of students Janice Kung Shu-En, Cheong Kah Xuan, Yong Cui Ning, Tan Ching Hui and Jossmita Pillai, who have chosen Certificate in Finance, Accounting and Business (CFAB) and Institute of Chartered Accountants in England and Wales (ICAEW) CFAB-ICAEW pathway at Sunway TES CAE. The team came a long way through a few preliminary challenges before winning the grand final of the IEC. To showcase our programs and plans to employers so to seek out more opportunities for collaboration in realm of recruitment, research and development. To build and foster ties for long-term growth of University and future of our students employability. The networking tea on 2 March 2016 was attended by over 80 management representatives from over 40 top companies. The event has definitely moved us a step closer to bridging the gap between the industry partners and the institution, as well as fostering ties with our industry partners. 30 VUMBA students have participated in the “Dialogue in the Dark (DiD)” workshop on the 5 th of March on Sunway campus as value added learning to the subject Business Ethics and Sustainability, which is one of the core subjects in completing VUMBA programme. Dialogue in the Dark (DiD) is a social enterprise which was established in Germany 25 years ago, providing non-visual business workshops with the objectives to shift perspective from disability to ability, and to enhance human interaction and empathy towards others. The workshop was conducted in complete darkness hence students are urged to adapt to blindness and learn to use hidden senses more effectively. Based on the feedback from students, it was very successful and inspiring as there was a lot of experiential learning in the areas of communication, teamwork and empathy. Students were very much impressed with their unusual experience in communicating and solving common tasks together in the dark. In coping with darkness, students learned to build trust and offer a helping hand to each other. This unusual experience brings about impactful insights for VUMBA students in their everyday routines, be it at work, at social events or at home. “Sunway College was my second home. 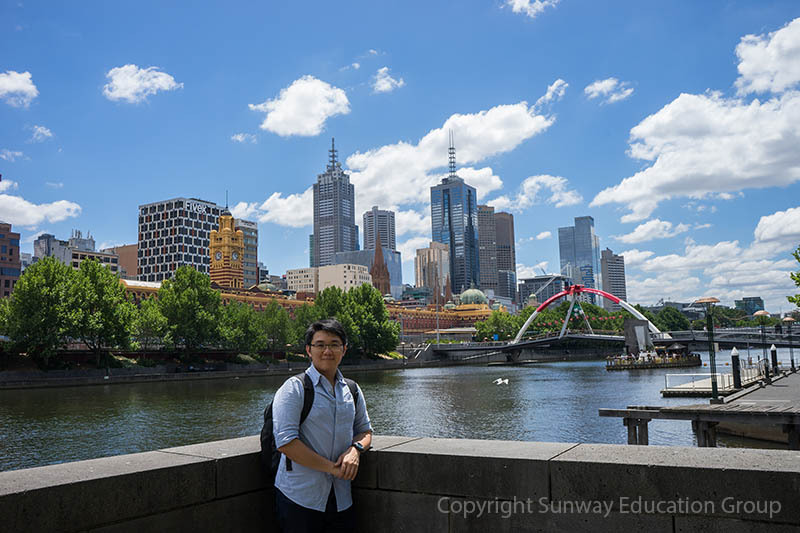 It nurtured me to become who I am today.” It was this attachment to his alma mater which led Khurram to visit Sunway nine years after his graduation. It was Khuram’s wish that his wife, Dr Charlotta, should see his ‘second home’ and she brought along her mother, Harriet and sister Matilda. Khurram graduated from Victoria University in 2007. He then obtained a scholarship to pursue a Master in Management at Umea University in Sweden. He is currently employed in IKEA, Sweden. He has obtained Swedish citizenship, married a Swedish doctor and speaks fluent Swedish. If we could just chip in and do our bit, even the smallest amount of money can make a significant difference in someone’s life. Last year, the annual Monash University Foundation Year (MUFY) Sharity Carnival raised RM11, 500 for the Society for the Severely Mentally Handicapped, Selangor & Federal Territory (SSMH). Over a hundred MUFY students from all intakes joined forces and worked around the clock to raise funds for the SSMH society, a voluntary welfare organisation established and registered with the Registrar of Societies in 1984 with the objective of providing rehabilitation facilities to children and youths with severe mental and physical (multiple) disabilities in Selangor and the Federal Territory. 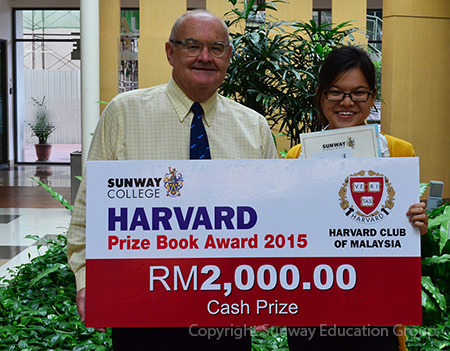 Cheque presentation – MUFY students and lecturers present the cheque to SSMH. 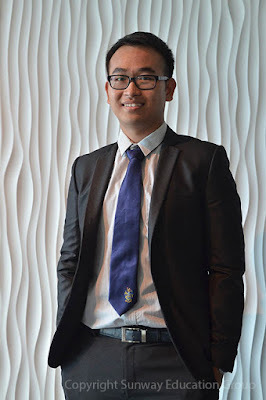 Sunway College Monash University Foundation Year (MUFY) alumnus Alex Lee Kae Lun earned his Bachelor of Honours Degree in Business and Commerce last year and is currently pursuing his Doctor of Philosophy (PhD) with the School of Business at Monash University, Malaysia. Here, he shares his experience in MUFY which inspired him to go into economics and finance, and nurtured his growing interest in research. Alex is currently undergoing his PhD at Monash University, Malaysia Campus. “Canadian International Matriculation Programme (CIMP) was my preferred choice because I liked how the programme incorporated subjects from various fields of study in one programme,” said eighteen year old Nichole Gan Min Huey. The former student of Chempaka Assembly of God (AOG) decided to enrol in the CIMP programme upon her mother’s encouragement for her to study at Sunway College. A native of Kuala Pilah, Negeri Sembilan, Chan Zhen Hoe who is the youngest of 5 siblings related he left his hometown for the very first time to pursue A-Level studies at Sunway College upon receiving a scholarship from the Nanyang Education Fund. At Sunway College and in a totally new environment Chan learned to be independent. He found he was surrounded by people who were better than him and realised he needed to improve in order to keep. 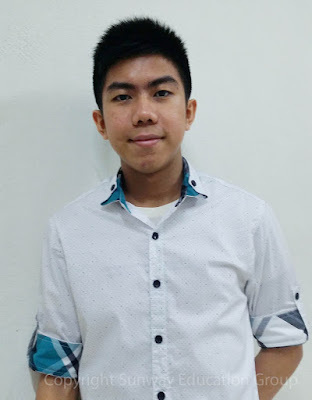 Even though he scored 9As in his SPM (Sijil Pelajaran Malaysia), he confessed he found the A-Level programme challenging and it took him a bit of time to catch up with his classmates. After completing the A-Level, Chan hoped to pursue further studies. 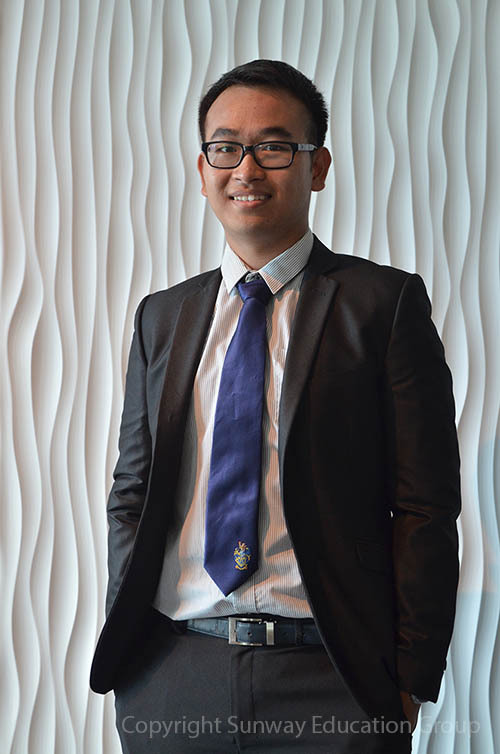 He applied for various scholarships and was awarded the JCF-Sunway Berhad Scholarship in 2015. “It was one of the toughest scholarship interviews compared to those I have previously attended. There were several stages and each one catered to test one’s skills and personality. On top of that, I was given tasks to complete within the given time. All in all throughout the whole process, I learnt quite a few things”, said Chan. Shireen Chin Mei Yee is no ordinary student. Juggling between her study and exams, the 18 year old student of Sunway College’s Australian Matriculation (AUSMAT) programme, is a performer of the guzheng, a traditional Chinese instrument. The former student of Kuen Cheng High School was inspired by her mother to take up the guzheng. She started playing the instrument five years ago, and has since fallen in love with it. Being proficient with musical instruments does not come easily as a lot of practice is required. For Shireen, she spends an hour or two a day practising when there are no exams. She normally concentrates on her studies and only practices on the guzheng when she is at home. According to Shireen, she normally performs at dinners, at the shopping mall during Chinese New Year and charity events such as the Child Aid Asia 2015 in the Kuala Lumpur Performing Arts Centre (KLPac). She recently performed in the AUSMAT Talent Time and Sunway Education Group Teachers Appreciation Day, achieving her dream of performing on stage in front of her lecturers and friends. Sunway College’s A-level student Kan Chang Yu recently won the Best Across Four Cambridge International AS Levels Award, drawing him a step closer to pursuing his dream as a dentist. He describes it as “It is my honour to receive this award, and it is completely out of my expectations”. Chang Yu wishes to specialize in orthodontist. Having joined the same intake in CAT and ACCA, both Melissa Tan Hui Ying and Kenneth Koh Chun Hong met in Sunway and are now in their third year of marriage. Earning herself an entry level Jeffrey Cheah scholarship, Melissa served as the Vice President of Sunway-TES’s Student ACCA Committee (SAC) as well as the Head Usher for Sunway Christian Fellowship. She learnt to manage events and projects, picking up exposure in working with teams, dealing with management, meeting new friends and people. An entry Level Jeffrey Cheah scholar & Sunway-TES ACCA scholar, Kenneth served as cell group leader with Sunway-Monash Christian Fellowship. The Canadian International Matriculation Programme (CIMP) at Sunway College is a rigorous academic programme leading to university studies. The programme provides students the opportunity to grow socially and culturally through involvement in many of the extra-curricular activities offered. 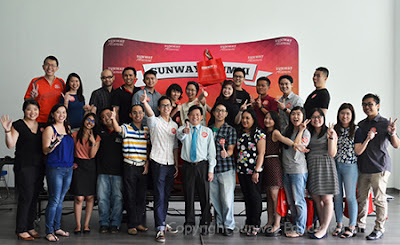 Sunway TES Centre for Accountancy Excellence (Sunway TES CAE) held its inaugural Alumni Catch Up for graduates and affiliates of professional accounting programmes, namely ACCA (Association of Chartered Certified Accountants), CAT (Certified Accounting Technician), CFAB (Certificate in Finance, Accounting and Business), ICAEW (Institute of Chartered Accountants in England and Wales) and MICPA (The Malaysian Institute of Certified Public Accountants). 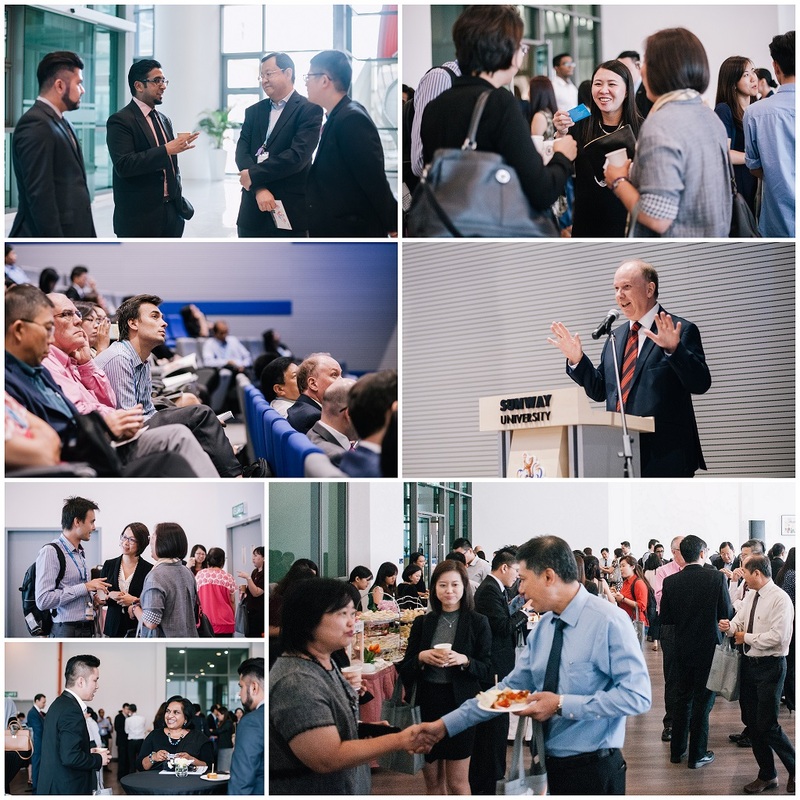 Organised by the Sunway TES Accountancy Graduates Club (SAGC), the event gathered more than 30 alumni at Sunway University’s Art Gallery with various activities including networking sessions, campus tours and a special performance. 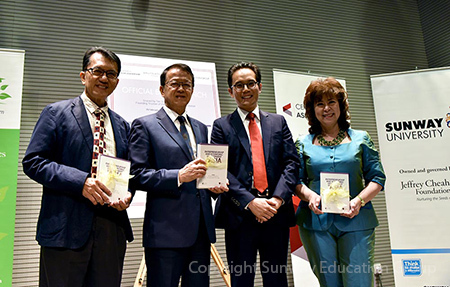 The Center for Asia Leadership (CAL) today launched three books, “Entrepreneurship and Economic Development in Asia”, “Finding the Leaders in Us: New Goals for Success”, and “Redefining Success: Learning to Lead for Change” in tandem with the establishment of its Asian regional office in Malaysia. 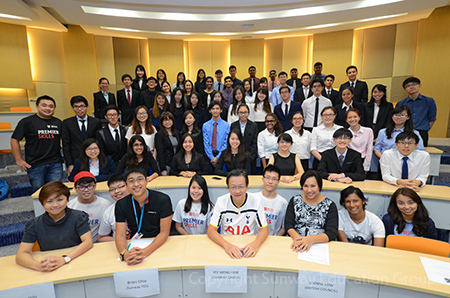 The launch was held at Sunway University. CAL is supported in part by the Harvard University Asia Center, and seeks to address public needs and problems in Asia through research, development, training, and publication initiatives in the areas of public service, political and social leadership, and education in Asia. In-conjunction with the Lunar New Year, the Chinese Independent School Alumni Club (CISA) of Sunway University welcomed the Year of the Monkey with a day of celebration. 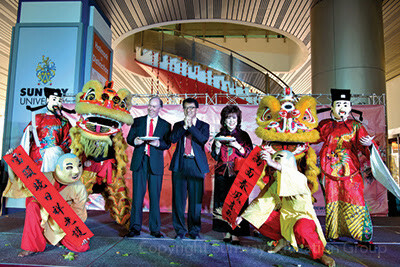 The celebration started off with an opening ceremony by Dr Lee Weng Keng, Chief Executive Officer, Education & Healthcare Division, Sunway Group; Dr Elizabeth Lee, Senior Executive Director of the Sunway Education Group and Sunway University and Professor Graeme Wilkinson, Vice-Chancellor of Sunway University followed by a 24 Festive Drum and Lion Dance performances.